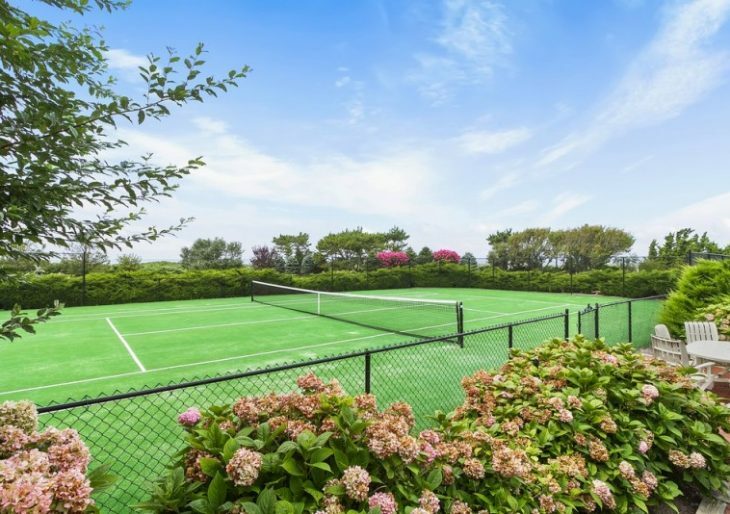 Adrien Arpel of Home Shopping Network fame is selling her luxurious Hamptons mansion for $38 million. Although Arpel found success selling products on the popular TV network, she’s put her trust in a realtor to find the right buyer for her Southampton, New York, residence. The sprawling 8-acre property stretches right up to its own slice of Shinnecock Bay paradise. The villa dates to 2002, is 7,250 square feet, and underwent a modern renovation just last year. It contains seven bedrooms and 7.5 baths. It begins with a floating, sculpted staircase before moving on to a series of expansive living spaces, including a library. A recently revised kitchen features an all-white execution, marble slab countertops, and a pitched ceiling. The property is fairly dazzling; it’s nestled in the dunes and coastal scrub, with views present from most rooms of the home. A gazebo, a tennis court, a deck with waterfront swimming pool, and a boardwalk to the beach fill out the grounds.